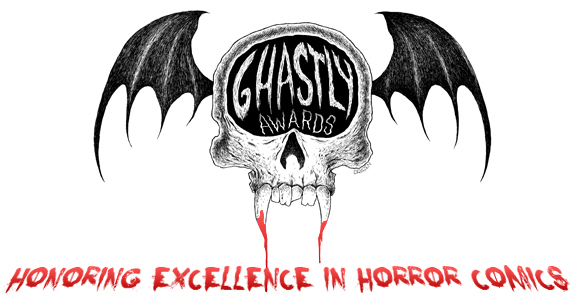 The Ghastly Award Judges are proud to announce the Winners of the 2013 Ghastly Awards. The Ghastly Award Judges chose the nominees from the books submitted by Comic Creators and Publishers throughout 2013. Winners were chosen by the Judges, Comic Book Creators and the Fans. The Ghastly Judicial Panel congratulates all 2013 Winners and Nominees. It is an honor to be recognized by your fellow professionals for such outstanding work in horror comics. Named for acclaimed comics creator "Ghastly" Graham Ingels, the Awards are in their 4th year. Created to honor excellence in Horror Comics, Comic Creators and Publishers can submit their books for nomination consideration throughout the calendar year. The top five nominees in each category will be chosen by the Judges, and will then be voted on by the Judges, Creators and Fans to decide the winners. We thank everyone who took the time to vote in the 2013 Awards. The submission process is now open for the 2014 Awards! 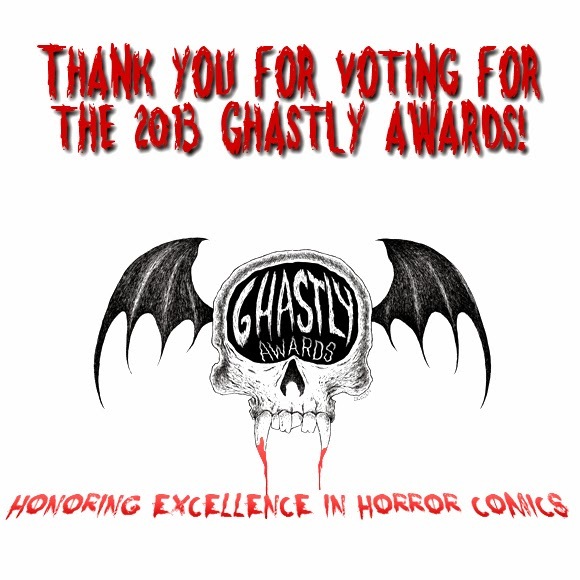 For more information on the Ghastly Awards, or to submit your horror comics for the 2014 Award season please go to www.ghastlyawards.com.